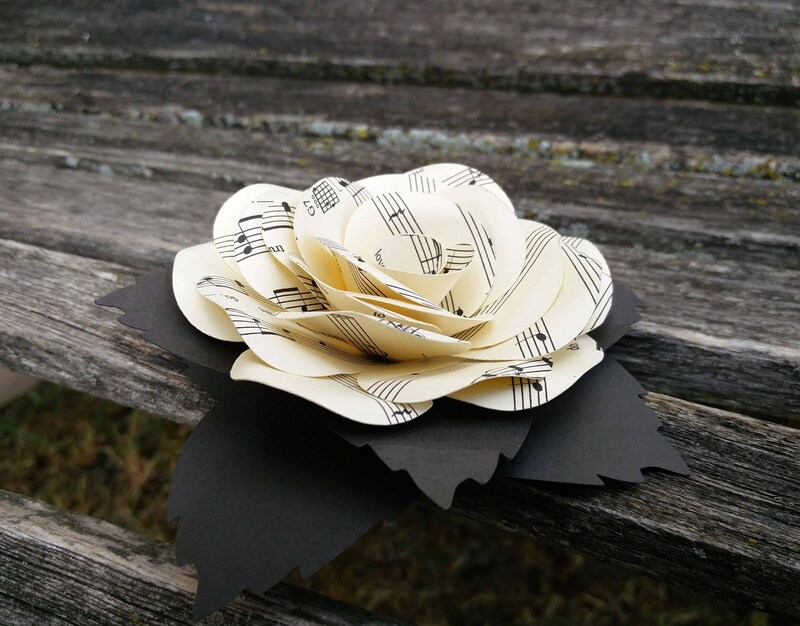 Sheet Music Cake Topper Flower. 6 inch. CHOOSE Your SONG/COLORS. Custom Orders Welcome. 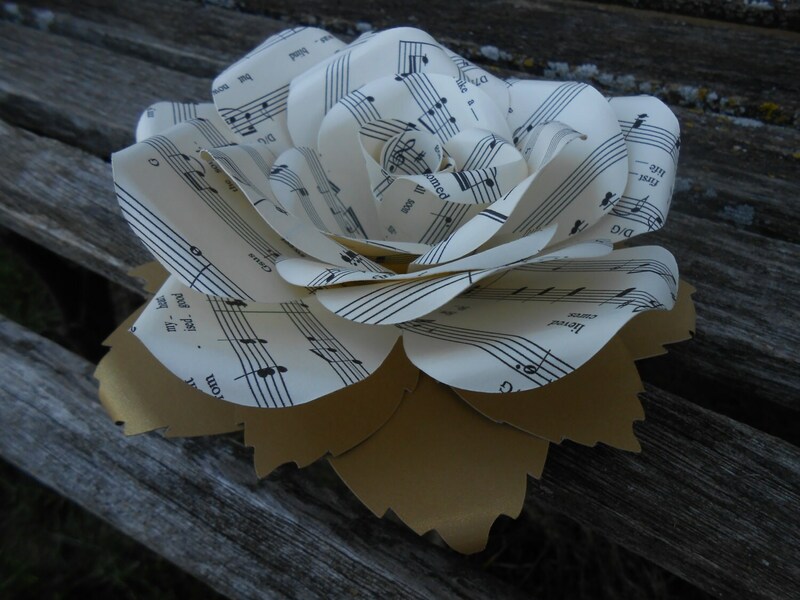 This lovely big rose is just the thing to put on top of any cake! 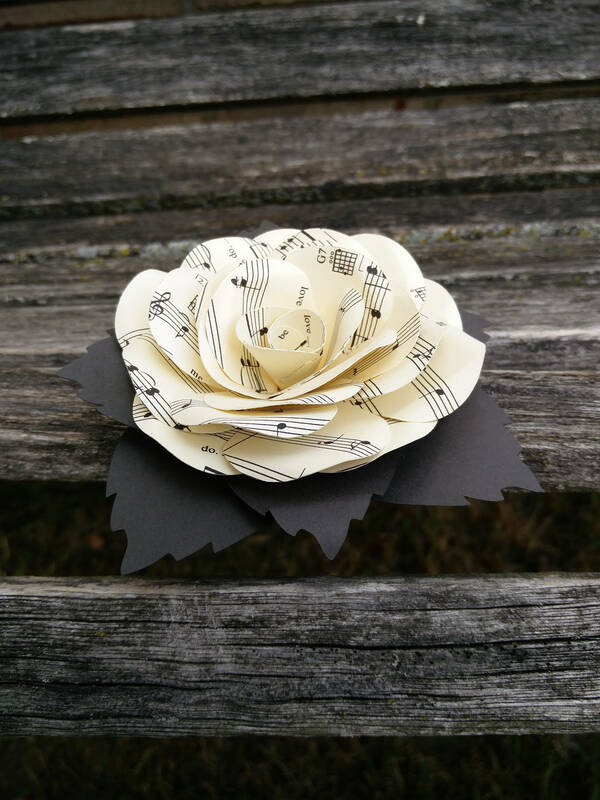 Made from cardstock with music printed on it, the rose is carefully cut and put together by hand. There are little leaves added for accents. The cake topper in the photos is 6 inches x 6 inches. It is about 3.5 inches tall. 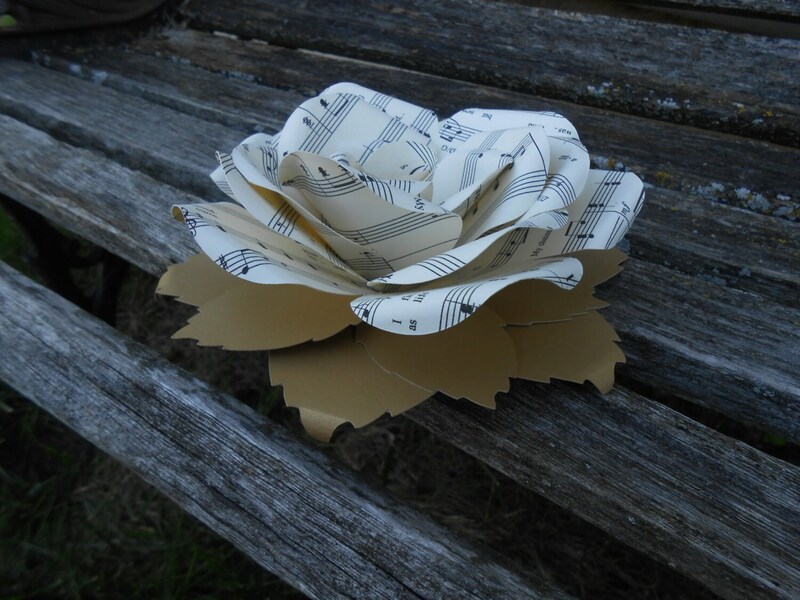 I can do these in different sizes, if you need one bigger or smaller. 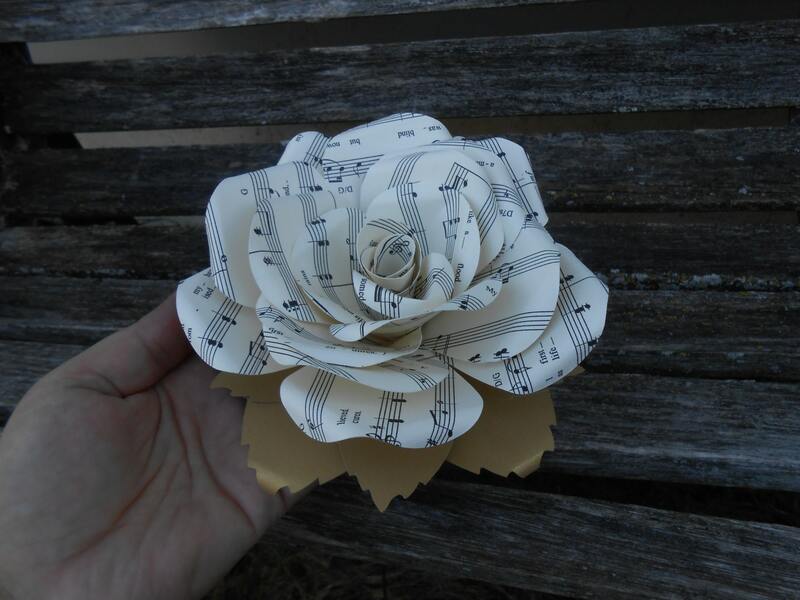 I can also do lots of different flowers. 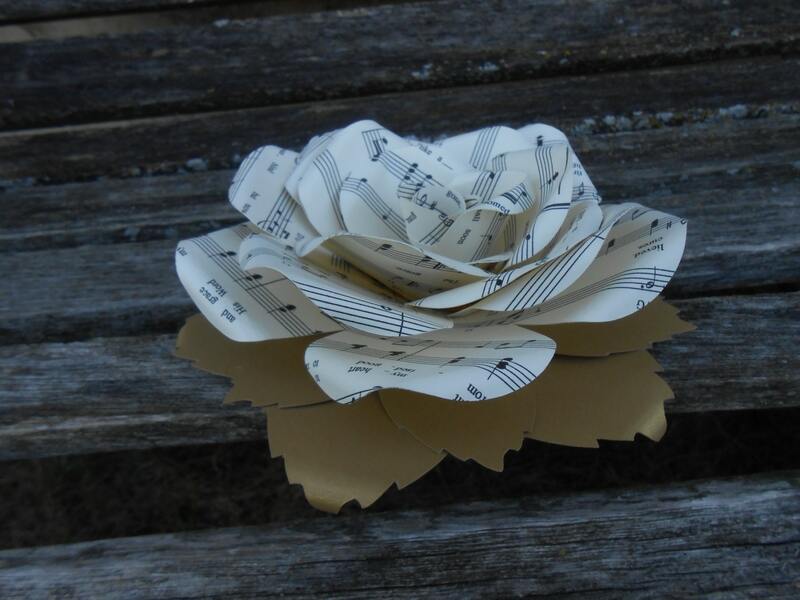 The flower shown has Amazing Grace as the song, printed on Ivory cardstock, with gold leaves. 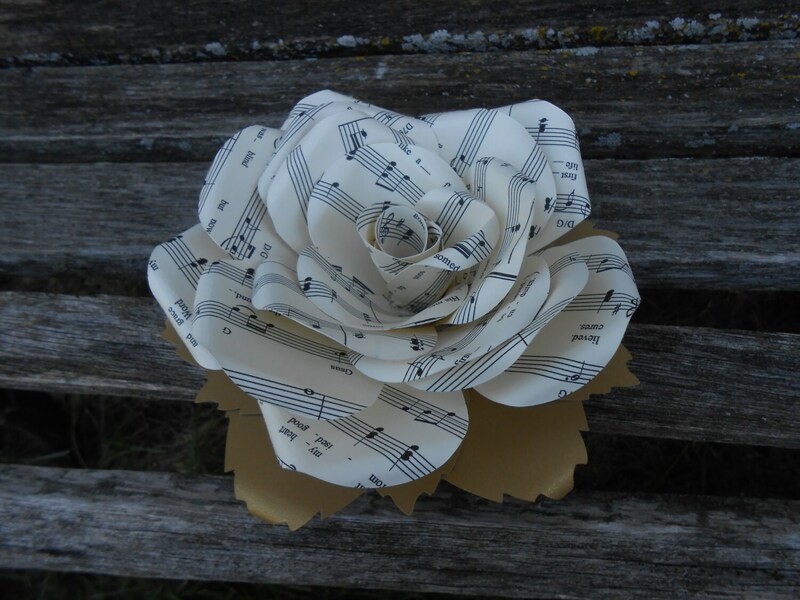 I can make this cake topper for you in ANY SONG AND FROM ANY COLORS. I have access to almost any song online and hundreds of colors and I can work with you to match your wedding or shower colors! Please allow me one week to make each one of these. Thanks!